While Star Wars: Episode VII - The Force Awakens continues to take in millions at the box office all over the world, the film is also continuing to be honored with numerous award nominations for various aspects of its production. 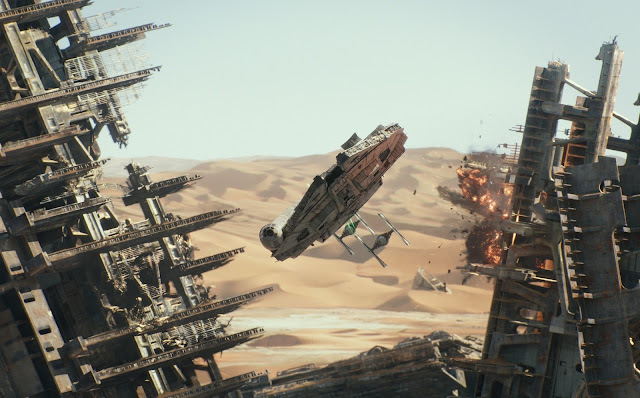 Most recently it was revealed that The Force Awakens had garnered a handful of nominations for visual effects and sound. According to The Hollywood Reporter, The Force Awakens is leading the pack in the Visual Effects Society Awards after being nominated for seven awards. Behind Star Wars are a collection 2015 and 2016's biggest hits so far, including Furious 7, Mad Max: Fury Road, The Peanuts Movie and The Revenant. The Force Awakens certainly looked and sounded amazing, so these nominations are well deserved! Congratulations and good look to the cast & crew of Episode VII!